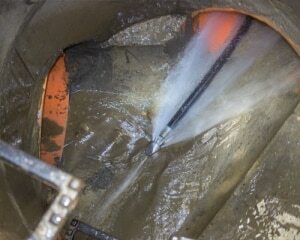 Queens Sewer & Drain Cleaning. 24/7 Plumbing Emergency Service. When a plumbing emergency interrupts your business or home life, it must be fixed fast. Call The Original 718 Sewer & Drain for speedy relief! Queens, Brooklyn, Nassau County-Long Island, Manhattan, The Bronx, and Staten Island. Know someone who can use our help? Share this page with them. 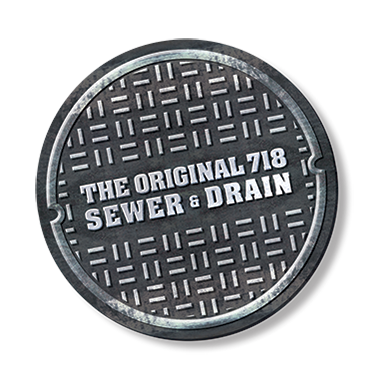 No matter what your commercial or residential sewer drain issue may be, The Original 718 is available to solve the problem. A video/camera pipe inspection can precisely locate many types of problems, including: blockages and buildup, root intrusion and pipe damage such as cracks and breaks. An ounce of prevention is worth a pound of cure! Keeping those pipes clean means fewer emergency and maintenance calls down the road, and more savings. We’ll resolve any plumbing emergency in your home or business 24/7! 718 Sewer & Drain is the top drain cleaning, sewer cleaning, plumbing & repair company in town. Our plumbers can solve any plumbing repair problem from clogged drains to leaky pipes to sewer backups. Scheduling an appointment is easy with our online appointment request. Simply fill out our sidebar form and one of 718 Sewer & Drain’s Professional Plumbing staff members will contact you. Our team is comprised of experts with years of experience and strong work ethics. We are building our reputation on fair pricing as well as clean, friendly and efficient service — one happy customer at a time. We provide expert residential and commercial plumbing services. Mike was great, they came promptly and cleared the clog in under 30 mins. I see a few people complaining about the price but he is the most reasonable plumber I’ve ever dealt with. They are probably saying that for lack of experience with plumbers. Half the price of roto rooter. And I’ve been a homeowner for 20 years so I know what these people charge out there. I will use him again for any clog related problems. They came within 45 min on a stormy Saturday night (it was even Valentines day). They were professional and knowledgeable. We had sewage coming through a basement shower – everywhere! They fixed the problem and gave good advice, that wouldn’t even benefit them. I would definitely use again! Excellent work for a good price . Arrived on time when the said they would . Professional and explained the problems before doing the work. These guys were awesome. Very professional. A follow-up call from some guy named “Mike” was great to see if I was satisfied with the services provided. Really impressed with Mike and his team responding so quickly. I didn’t have much time to deal with the problem and they solved it smoothly and quickly. Also taught me how to maintain the system to prevent further problems and spelled out options and costs for me for additional work if needed. Mike and his men are the Best! They came quick, solved the problem clean up and very helpful would recommend these guys to anyone. Excellent, Excellent. I cannot say enough good things about this professional company. We used this company 2 times within 2 years. They snaked out our backed up yard drainage on one visit. The second visit was flushing the sewer drain from blockage—both visits a year apart. I also learned a lot by watching. We were a little skeptical at first, and paid a plumber a lot of money before finding this great company. Do not delay, call them any time. The price is so cheap, and the work is so good. They were able to fit me in that morning! I wasn’t expecting to get charged $49.95 because I figured it was just a slogan, but the job was easy and sure enough they didn’t try to get over on me! Hooray for hot showers! I called on Monday to have someone come Tuesday. my window of time was 8-10. at 8:04 am I had a call the tech would be on their way. He showed up at 8:29am and left approximately 15 minutes later. He cleared the gunk from my bathroom sink, literally gunk, and a lipstick that went down. He was fast & friendly. The cost came to $60 instead of $49- for a gas surcharge and tax, which is was fine. I’d definitely recommend this company. It did take two calls to get someone to come – but I received repeated apologies when I called the second time. When the plumber came, he fixed two issues with my leaking and clogged toilet in about 15 minutes. He was very courteous and helpful. I had two other plumbing services not show up at all – so I was thrilled. The price was very reasonable. Wish I could give this fellow six stars. Prompt, courteous, honest, cheaper than roto rooter. Cleared a clogged toilet. Came in and fixed a severe clog I had in the bath tub. Guy was quick, professional and cleaned up any mess that was made. Great price, highly recommended. The Original 718 Sewer & Drain Inc. was started in 2010 and has been providing sewer & drain cleaning service with the best customer service possible at affordable rates in Queens, Brooklyn and surrounding areas ever since.